By understanding the requirements of the clients, we manufacture and supply Silver Victorian Jewellery. Our products are eclectic in patterns and perfect in finish. 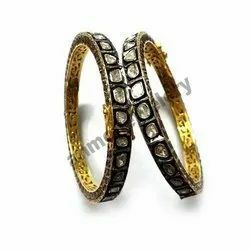 The product range that the clients can avail from us includes Victorian Bracelet, Victorian Ring, Victorian Earring, Victorian Necklace. 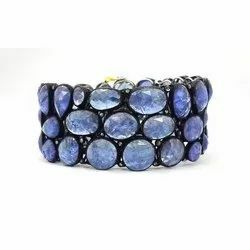 Leading Manufacturer and Exporter from Jaipur, our product range includes Diamond Stone Bracelets such as Diamond Twin stone Bracelet, Pave Diamond Bracelet, Gemstone Diamond Bracelet, Diamond Cross Bracelet, Blue Sapphire Bracelet Jewelry, Pave Diamond Bracelet and many more items. We are the manufacturer and supplier of diamond and gemstone jewelry. 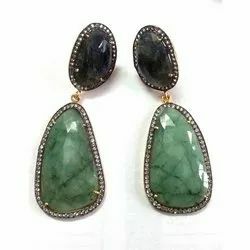 We manufacture of diamond earrings, gemstone earrings, blue sapphire earrings, emerald earrings, ruby earrings, gemstone bangle jewelry, diamond bangle jewelry, fashion bangle jewelry, fashion earrings, fashion bracelet, fashion necklace, fashion pendant, ruby earrings, diamond earrings, diamond gemstone earrings, Labradorite earrings, diamond opal earrings, diamond stud earrings, gemstone diamond bangle, gemstone dangle earrings, gold earrings, sterling silver dangle earrings, gemstone diamond bangle etc. 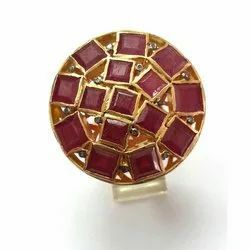 We have our own manufacturing, so we can make customized designs as per customer requirement.Usually it takes only 10-12 working days after receiving payment, for large quantity, it may extend to 15-20 working days. We have our own manufacturing, so we can make customized designs as per customer requirement. Usually it takes only 10-12 working days after receiving payment, for large quantity, it may extend to 15-20 working days. 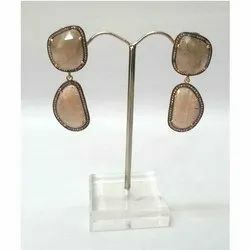 We are in charge of manufacturing and supplying an attractive range of Silver Jewellery Earrings, which is designed and crafted as per the existing market trends. These are made using high quality basic element and are in total compliance with the set industry norms. Owing to their premium quality, long-lasting and highly polished. 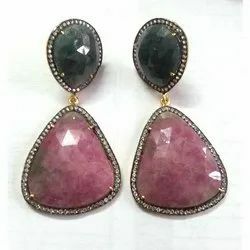 We are manufacturers and whole sellers for Pink Sapphire Diamond Earring with genuine gemstones and diamonds. We have our own workshop and skilled craft man who does their job with great dedication. 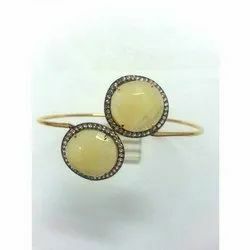 Reputed as a leading manufacturer and supplier in the industry, we are specialized in offering an array of qualitative Gem Bangle that is fabricated by our talented designers. Our Gem enrichment has a multiplier effect on the jewellery item, where ever it is incorporated. Procured from trusted vendors of the market and approved by our quality controllers, we provide gemstones of a varied range in perfect dimensions and clinical cuts. Usually it takes only 10-12 working. We are manufacturers, wholesalers, exporters and suppliers for 925 Sterling Silver Jewellery & Stone Studded Jewellery. 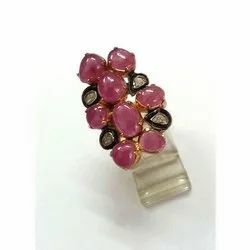 We make Rings, Earrings, Necklaces, Chandeliers, Bracelets & lot more. 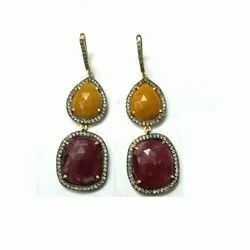 925 Sterling Silver Gemstone Earring Jewelry Manufacturer, Exporter & Suppliers to USA/UK/CANADA/AUSTRALIA. We customize the designs also as per to the designs given by our customers. We are offering our clients an eye-catching and amazing range of Silver Jewellery. It catches the interest of everyone looking for perfection with sophistication. This jewellery is carved out in the latest pattern that separates it from other. 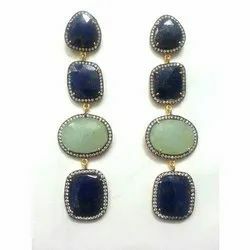 Manufacturer and supplier of silver jewelry like silver earrings, ladies silver earrings, stylish silver finger rings, fashionable silver finger rings, silver necklaces and designer silver necklaces. We have expertise in manufacturing and designing a wide gamut of supreme Fashionable and Designer Jewellery's range. Our range of products is praised in the markets of Australia/NZ, Central America, North Europe and East Europe for their Quality. Our wide assortment comprises of variety of Macrame, Necklace, Pendants, Rings, Findings, Earrings and Bangles. These products have been manufactured by us in conformance with various national and international quality standards. With strong networking skills, we have developed strong relationship with various trustworthy and reliable vendors, who supply us raw-material at economical prices. Hence, we are capable to provide our range of high quality products at very economical prices. We are the leading manufacturer, trader & exporter of earrings jewelry. We offer pave diamond earrings, carved gemstone earrings. We can also customize the article if requested and use gold or silver. We can use different gemstones & diamonds on demand. Manufacturers of Multistone Earrings,Spring Collection Earrings, Round Earrings,White Earrings,Yellow Gold Earrings,Anniversary Earrings,18k Earrings,Round Face Earrings,Oblong Face Earrings. 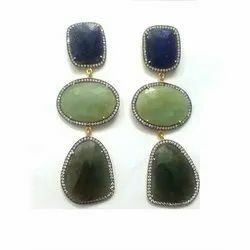 We are in charge of manufacturing and supplying an attractive range of Silver Jewellery Earrings, which is designed and crafted as per the existing market trends. These are made using high quality basic element and are in total compliance with the set industry norms. Owing to their premium quality, long-lasting. 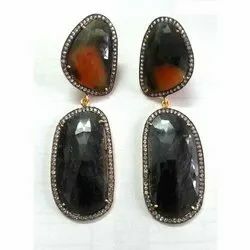 Reputed as a leading manufacturer and supplier in the industry, we are specialized in offering an array of qualitative Gem Stone Earrings that is fabricated by our talented designers. Our Gem enrichment has a multiplier effect on the jewellery item, where ever it is incorporated. Procured from trusted vendors of the market and approved by our quality controllers, we provide gemstones of a varied range in perfect dimensions and clinical cuts. 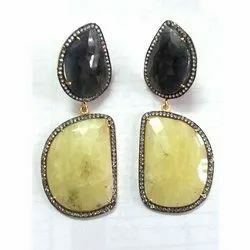 We are manufacturers and whole sellers for Multi Sapphire Diamond Victorian Earring with genuine gemstones and diamonds. We have our own workshop and skilled craft man who does their job with great dedication. 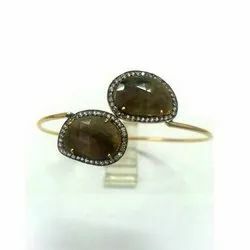 Leading Manufacturer and Exporter from Jaipur, our product range includes Diamond stone Bracelets such as Diamond twin stone Bracelet, Pave Diamond Gemstone Bracelet, Gemstone Diamond Bracelet, Diamond Twin Bracelet, Blue Sapphire Bracelet Jewelry, Pave Diamond Bracelet and many more items. 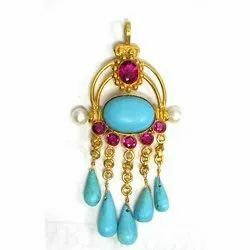 We are one of the reputed organization engaged in providing superior quality Kundan Studded Victorian Earring. 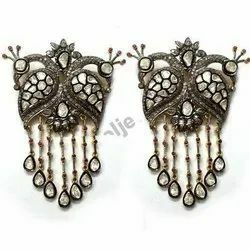 These Victorian Earring are good demand in the market due to high quality and elegant design. 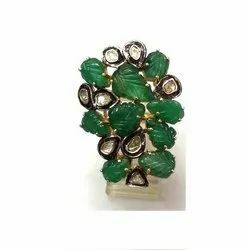 We are whole sellers and manufacturers of gold Victorian jewellery with gemstones and diamonds. 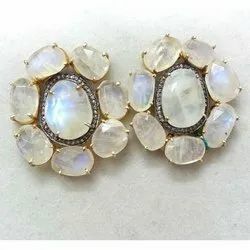 Manufacturers of Multistone Earrings, Spring Collection Earrings, Round Earrings, White Earrings, Yellow Gold Earrings, Anniversary Earrings, 18k Earrings, Round Face Earrings, Oblong Face Earrings. We are the manufacturers and wholesaler for the designer beaded bangles with coin pearls. These Designer Bangles are available in all the colors. 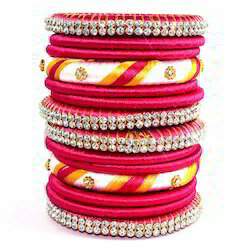 We make designer Bangles as per to your suggestion also.